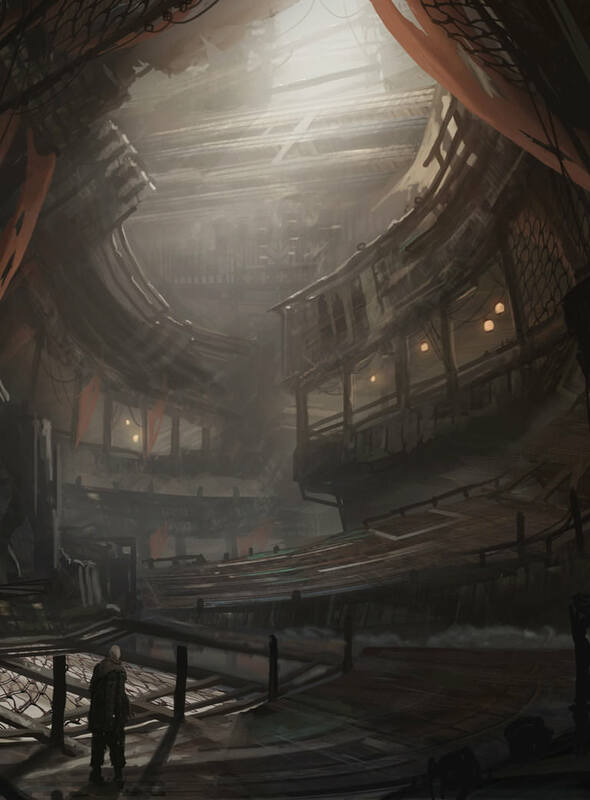 The Siren Hallow is a safe-haven, hidden within the cracks of the old Lion's Arch at the Free Market where all manner of goods are on offer to be bought freely, with a blind eye from those within Lion's Arch. All are welcome to have followed the Siren's song to market of where one can shroud themselves behind a name to enjoy the darker shades within life, though not all choose to do so. 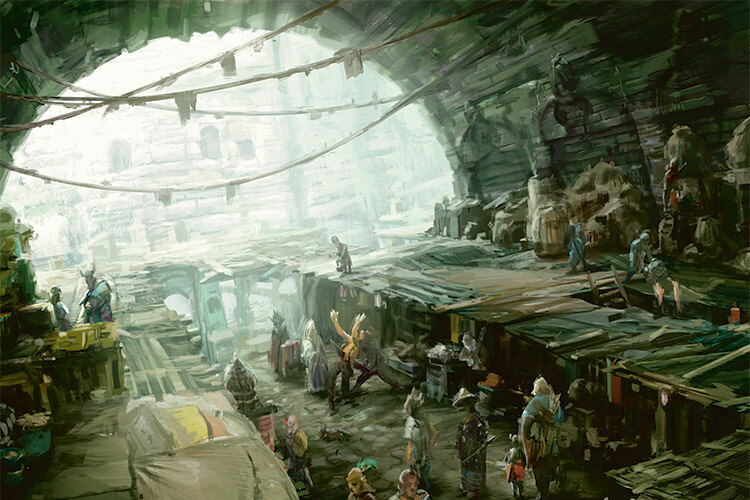 From pleasure spices and other more nefarious substances, to illicit weapons and stolen treasures, the services of those who practice forbidden arcane arts, even discrete assassins, relentless bounty hunters and amoral mercenaries, everything is for sale. For a price, of course. All are welcome at the market, so long as order is maintained. 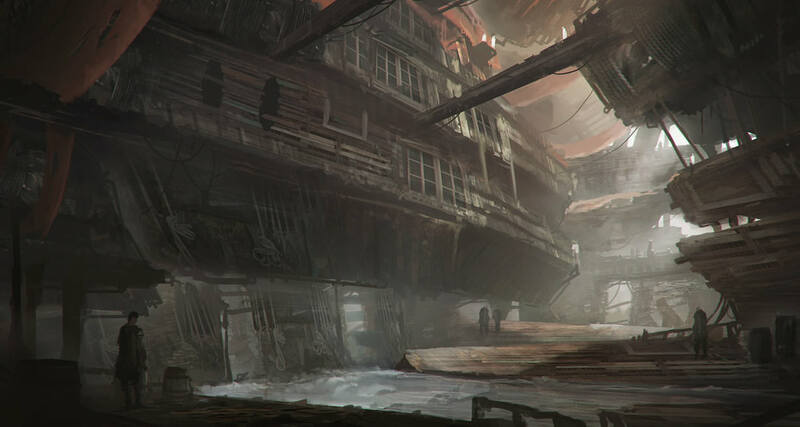 The enigmatic Siren is the law within these crumbling walls, with the full backing of whomever sides under her reign under her Shadow Council in these dark depths. This is her cove, and troublemakers will be dealt with harshly. to punishment at the Siren's discretion. 1. None shall attempt to reveal, or take actions that may lead to the revelation of, the identity of anyone at the market who has chosen to hide their identity. 2. No violence is to take place on the market grounds without the express permission of the Siren, or those who have been granted the explicit privilege of being able to do so by the Siren. 3. The Siren's word is law. The Siren's Hallow is ever seeking additional vendors, as well as service providers to keep the punters happy, and guards to keep them in check. To be a vendor, one simply has to turn up early at the market to claim the appropriate space from which to ply their particular goods. Service providers are allowed to roam freely advertising respective trades as they see fit. Guards must submit themselves to the Siren in person if they seek to work under her. We have a discord for you to enjoy conversing and keeping in touch with us. A place where you can expand your roleplay by finding new contacts and chances for you to create roleplay with us there. Just follow the pinned messages and you can become apart of our community. An auction has been sanctioned to take place on this day. One which the Siren shall be selling a number of goods from all corners of Tyria to feast your eyes on. The Blood sands has been sanctioned to take place on this day. A chance for glory and gold taking on the monsters of Tyria in a fighting pit. An auction has been sanctioned to take place on this day. One which the Siren shall be selling a number of goods from all corners of Tyria to feast your eyes on. (Do get into contact about selling items).